It seems a little premature to be talking about Phase 4 of the Marvel Cinematic Universe when Phase 3 is still several weeks away from launch. Nonetheless, Marvel’s head honcho Kevin Feige sat down with Entertainment Weekly for their Captain America: Civil War-featured issue to run over the upcoming changes, and according to him, Phase 3 will go out with a bang after part 2 of Avengers: Infinity War. “I think you look at comics as a guide. I think there will be a finality to moments of Phase Three, as well as new beginnings that will mark a different, a very different, a distinctively different chapter in what will someday be a complete first saga made up of three phases,” Feige says. This jives with previous hints from the Russo brothers and Feige suggesting that both Civil War and Avengers: Infinity Wars will be somewhat controversial and make serious changes to the MCU as we know it. Feige’s comments also speak to previous rumors that Phase 4 would explore different characters than the first 3 Phases, and the Russo brothers confirm this as well. “Things always get deconstructed, right? You build things up and people enjoy the experiences you’ve built up. But then you kind of reach an apex or you reach a climax, a moment where you go, ‘This structure is really going to start to be repetitious if we do this again, so what do we do now?’ So now, you deconstruct it. We’re in the deconstruction phase with Civil War and leading into Infinity War, which are the culmination films,” Joe Russo says about the MCU. 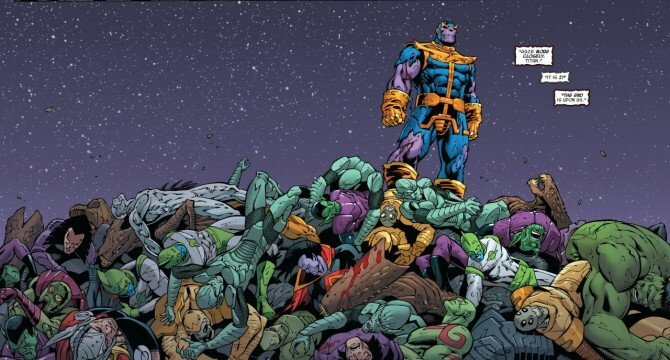 No matter how things shake out, it sounds like the two-part Avengers: Infinity War will have a major effect on the MCU. Who will make it out alive and who will be forever altered by the conflict? We’re still not sure just yet, but it will definitely be interesting to see how everything evolves as we move forward into the next Phase.